Each week in the JSB Talks Digital Podcast, I share the digital marketing and social media tools that saved my working week. This blog post is collection of all my favourite tools used so far! Missinglettr create a series of tweets for each of your blog posts and schedules them on Twitter for you. When Missinglettr detects a new blog post, it will create a series of tweets, each focusing on different parts of your article. This is a brilliant time saving tool! Pretty Link enables you to shorten links using your own domain name (as opposed to using tinyurl.com, bit.ly, or any other link shrinking service)! In addition to creating clean links, Pretty Link tracks each hit on your URL and provides a full, detailed report of where the hit came from, the browser, OS and host. You’ve heard me talk before at length about the power of your community. While we are all using social networks to build brand profile and sell we ought to push that traffic to our own website and build a list! So one tool I use to help me build a bigger and better list is SumoMe. RiteTag is a hashtag research tool that generates instant hashtag suggestions for images and texts on desktop and mobile based on real time hashtag engagement. How often are you online and wondering how your website is performing from a traffic perspective? Well that thought is regularly on my mind. So that’s why I love the Google Analytics Chrome Extension. It allows you to get detailed information about each page of your website while you browse it. Klout is a website and mobile app that uses social media analytics to rank its users according to online social influence via the “Klout Score”, which is a numerical value between 1 and 100. So what does your Klout score really mean and does it matter? I use this tool when trying to communicate to prospective clients how influential I am online. If they don’t convert on client testimonials, previous work case studies or your education, then I suggest dropping in your Klout score! Klout’s algorithm aggregates data from your main social networks and scores your influence. But if like me you are working in real-time and getting feedback from clients and need to email a bit more regularly, them why not try out Boomerang. Boomerang for Gmail let’s you take control of when you send and receive emails! I am a project manager and lots of my time is briefing and directing my team on client work. We are also spread all over the world in different time zones and in different countries. To reduce death by email we use an app called Slack, which has some great functionality. I love Twitter as it’s a very important social network to help me stay in touch with influencers in my industry. One way I do this is by using SocialRank, a free tool to identify, organize, and manage your followers on Twitter. Ripl is one of my favourite visual storytelling apps as it combines, photos, text and music, which you can then share on your favourite social networks. Buffer is a social media management tool and I use it for some client projects. You can easily manage multiple social media on one user-friendly dashboard. It is an affordable option for small businesses. It’s free to connect one social media account per platform and starts at just $10 per month for up to 10 accounts per platform. Buffer supports Facebook, LinkedIn, Twitter, Google+, Pinterest and Instagram and automates the timing of your social media posts. 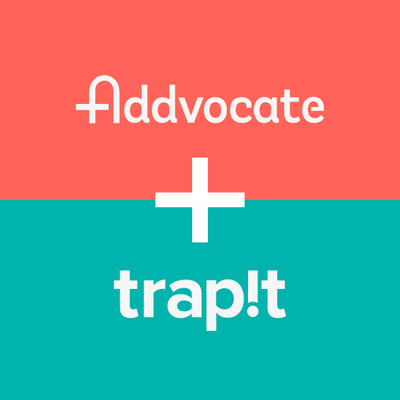 I love its browser extension and it has a mobile app for iOS and Android. Voxer is the only app that delivers voice live. You can listen immediately or listen later at your convenience. It’s huge Stateside. My friend Derek Larson introduced me to it in Bournemouth when we attended the UK Digital Citizenship Summit. Do you know how much a customer is worth to your business after you calculate the cost of winning them? For online marketers, Customer Lifetime Value (CLV) is one of the most important metrics to understand. It helps you make important business decisions about sales, marketing, product development, and customer support. Rival IQ is a powerful social media analytics tool that can help to boost your social media performance and engagement. Twitonomy is a great free tool to gather insights from your Twitter analytics. The platform allows you to analyze different statistics for your Twitter account and offers analytics about your followers as well as the accounts that you follow. With 320 million active monthly users, Twitter is a great place to build brand profile and powerful business relationships. In fact, 36% of businesses say they have won business directly from Twitter. And I’m one of them. I’m a weekly blogger and to generate more views for my posts, I use the Better Click To Tweet WordPress plugin. But guess what? It also helps me gain new Twitter followers! When you upload a video to YouTube and you have the FREE browser extension that integrates into YouTube installed you will run your channel with ease. It runs automated checks to ensure you’re following YouTube’s recommendations so it’s almost like a best practice checklist! Bitmoji is the app that I use to create Jomoji, and it’s available to download for free from the App Store or Google Play. There’s also a cool Chrome Browser extension so you can easily insert Bitmojis into Gmail, Messenger, Slack, virtually anywhere you communicate on the web. It also syncs with Snapchat and a whole host of personal branded Bitmojis are available for you to use in your snaps from the stickers option. For anyone new to the world of online PR, Press Release Wizard is a super helpful tool. On the Press Release Wizard website, you are guided through how to write each section of your press release in real-time. It will guide you on how to write each section from the heading, to the intro, main body and conclusion. And when you’re finished, it sends a finished copy to your inbox. You can then copy and paste it from your email and send it out. After using it a couple of times, you’ll remember how to write a press release without it. So go check it out. Have you ever wondered how to brand your Snapcode? Snaptag Editor allows you to upload your logo, a photo or another png or jpg file to sit behind the Snapcode ghost icon. You can also change the colour of the QR Code square to match your branding. This tool allows you to add a visual background to anything you tweet, automatically transforming any of your hashtag tweets into a stunning quote card! If you are engaged in influencer outreach to help you expand your online presence to benefit your online business, you will want to use the social media tool. Ninja Outreach is a super tool to find the right people for your marketing and business activities across the web and social media. The tool features helps you find executives, journalists and company influencers on the web and on social including Instagram and Twitter. You simply type in a keyword to find thousands of leads in seconds for your target keywords in any niche. You can filter by tags like bloggers, influencers, executives, journalist, and companies. Ninja Outreach say there are over 4 million leads in their growing database. For example, I searched politics and social media and found relevant articles, authors and not only that but Ninja Outreach gives me the social shares of the articles, the Google Page Ranking, Domain Authority, Page Authority as well as web visits per month. This tool is awesome for reducing the time you spend on influencer marketing research and outreach! Pixel Caffeine by AdEspresso is a free WordPress plugin that allows you to create custom audiences for almost any parameter you want – whether its web pages visited, products and content viewed, or custom and dynamic events. First things first, if you have never Googled yourself, then make it the first thing you do after reading this! Did you know that the content shared on most social networks is indexed on Google, even if you haven’t posted content about yourself, third party information from social networks and other sites will link back to you. However, if you don’t like what the Internet is saying about you, you can take action and change it. 87% of the information the Internet has on us, we have put it there through our online activity. It’s a good idea to do a search on yourself incognito. This means that you log out of all Google accounts. This will give you a better indication of what others see when they Google you. Incognito mode opens a new window where you can browse the Internet in private without Chrome saving the sites you visit. You can switch between an Incognito window and any regular Chrome browsing windows you have open. You’ll only be in Incognito mode when you’re using the Incognito window. Facebook Live is my number one live streaming platform. You can broadcast Facebook Live through your profile or through your Business Page. To broadcast through your profile, tap to update your status and click the Live icon. Just like posting a regular status update, you write a quick description about your broadcast. This title will go out in the news feed and in notifications to your friends/fans. You can also choose the audience before going live. Select friends only, a specific friends list or public. Then tap Go Live. Every good marketer personalizes the story, the campaign and the message! But it can be labour intensive to do this manually. I’m currently building out my sales funnels for my online business and one super tool that is helping me segment my leads is Survey Funnel. You can use this tool to test your product, find out your customers biggest challenges and also why they didn’t buy from you! If you want to personalize content to segment leads then I suggest have a look at Survey Funnel. Have you ever wondered how many fake followers you have or if anyone you are following has fake followers? In the age of transparency and truth seeking, it’s not a bad idea to audit your Twitter account. I audited mine and from my 10,034 followers, 9,422 are real and 612 are fake. I will now use another tool called Tweepi to delete the fake followers. Each audit takes a random sample of 5000 Twitter followers for a user and calculates a score for each follower. This score is based on number of tweets, date of the last tweet, and ratio of followers to friends. We use these scores to determine whether any given user is real or fake. Clips is an iOS app for making and sharing fun videos with text, effects, graphics and even music tracks. It’s perfect for Facebook and Instagram because of its square video dimensions. With a few taps, you can create and send a video message or tell a quick story with animated text, graphics, emojis and music. Its features include cool editing controls and effects as well as voice-transcribing auto-captioning. You can also upload your finished video directly to Instagram, YouTube and Facebook. I love it for making fun videos about digital and social tips and tactics as well as mixing personal JSB digital tales! If you have WordPress.com website, you have the option of creating your personal voicemail page on SpeakPipe and adding a link to the voicemail page to your blog. 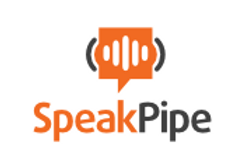 There are three different ways to use SpeakPipe on your website. 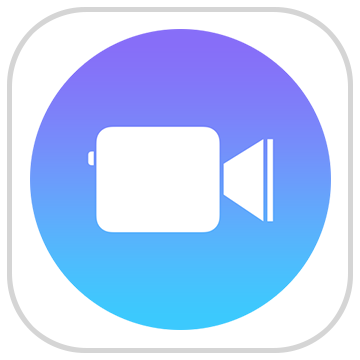 Ecamm Live for is designed to record FaceTime calls – both audio and video – to your Mac. Think of the possibilities e.g. playing back a webinar you already created, playing a podcast you already recorded, playing back a promo video etc. Animoto allows you to create professional-quality videos with pictures and video clips. It’s fast and easy to post to websites or download. Pricing plans range from $8 a month for personal use to $34 a month for businesses. 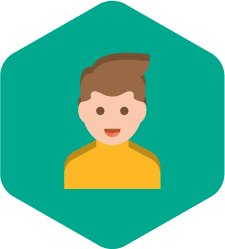 Sentiment140 allows you to discover the sentiment of a brand, product, or topic on Twitter. The tool was developed by Standford University students. Assessing sentiment in your social media strategy is very important. You can also search by keyword for example and include the name of a politician or an opponent to view their sentiment analysis. Headlines as you might know, can make or break a post, and that’s why you want to make sure that yours is a winner. How often have you scrolled on after speed-reading a headline? Or what was the last article you read based on the headline that made you click? 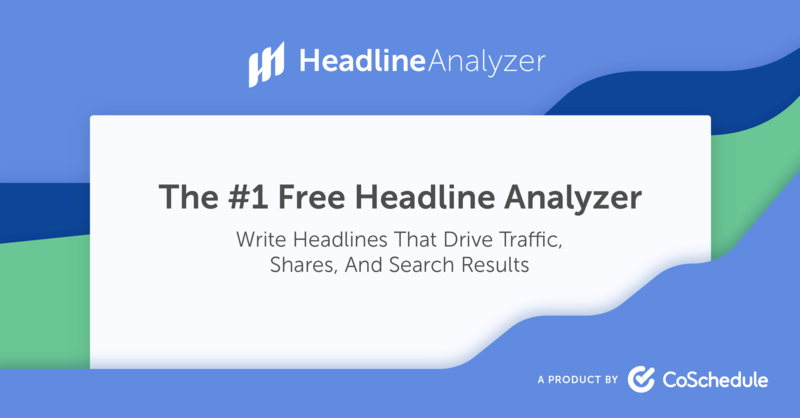 Co-Schedule has created a headline analyzer that measures the effectiveness of your headline and it’s FREE! The tool makes it possible to test out as many variations of a headline as you’d like, scoring each one based on their algorithm from 1-100. I have worked with Kaspersky Lab providing them e-learning courses. Their mobile app allows you to monitor your children’s communications wherever you are. As well as keeping watch over incoming and outgoing calls and texts – on their Android phones and tablets you can also monitor your kids’ public Facebook activities. Kaspersky Safe Kids shows you your children’s locations on a real-time map, plus you can define a safe area that you expect your kids to stay within. If one of your children leaves the safe area, you’ll automvatically receive an alert on your mobile phone. When it comes to gaming, is probably the number one app that every player’s phone needs. Just like the desktop version, Twitch allows gamers to stream their play sessions live online for the world to see. This allows for any amount of different game styles to be viewed, as it’s the broadcasters choice what they wish to stream. Couple this with the fact that the streamer can also add on-the-fly commentary throughout the game and Twitch becomes a hugely entertaining app. From here viewers can interact with the gamer in real time via a comments section that appears below the video stream. This, coupled with the commentary, opens opportunities for the streamer to really show off their personality; not just their in-game skills. Twitch is by far the most popular streaming app in video game history. It’s used by games companied to display their upcoming titles, international tournament organisers to show off the skill and intensity of gaming tournaments. However, Twitch is not exclusive to the higher ups and bigwigs of the industry. Instead it’s available to every player by being integrated into the Playstation 4 console, meaning that every person who owns this machine could potentially be an online streamer. If you are engaged in online PR campaigns or content outreach then you should ask yourself, ‘how much time am I spending each day reading through online news sites?’ Zenark provides its clients with news, information, and opinion from every key online source that impacts their business or organization. I am able to track keywords relating to my business and my clients so that I don’t miss an online media mention, and I get twice daily updates at 8am and 3pm collating all mentions so far that day. I also monitor for subjects I’m interested in for example, policing and social media and politics and social media. With critical information collected and delivered to me by email twice daily I can identify threats or opportunities and act immediately and effectively while saving hours of manual research. This is now I keep on top of news stories, which are evolving hourly in the digital age. SpeechPad is a transcription service and I am going to have all my podcasts transcribed into text. Can you imagine the SEO value in that? Facebook Live has transformed the world of news. I find myself watching news reports and breaking news on Facebook more and more. I also use Facebook Live to amplify my own news and the tool that I use for this is BeLive.TV. I like this tool because it provides more functionality than Facebook Live itself. BeLive.tv does not allow you to record anywhere else – you will be broadcasting directly to Facebook. It also gives you positive and negative sentiment measurements for each trend it identifies, right down to specific emotions such as fear or excitement. With Trendspottr, you can get in at the start of trends instead of jumping on bandwagons that have already passed. Trendsmap helps you discover what is gives you real-time local Twitter trends. You can use this tool to visualize topics trending globally, nationally, and in your city. GatherContent is an online platform for teams to collaborate on content. With GatherContent you can easily organise and produce content for website projects. Did you know that you have just seconds to keep the attention of a website visitor before they will jump away to another site or app. Research shows that nearly half of web users expect a site to load in two seconds or less, and they tend to abandon a site that isn’t loaded within three seconds. Whatagraph is a marketing performance reporting platform that automatically converts website & social media data into visual, simple and understandable infographic reports. It supports multiple integrations, you can assign responsible users to clients, group your reports by clients or departments, set unique branding to each client and pay for what you need and many more features that definitely will take your reporting to the next level. The software features automated data gathering capability that allows it to automatically collect data from over 10 data sources, including Facebook, Twitter, Instagram, YouTube, Google Analytics, and more. Once you have the data you need, Whatagraph lets you create custom templates to make sure that your data is visualized exactly the way you want it. On top of that, you can embed branding elements into your reports for added personalization. Do you want to see how your Facebook Page measures up to your top competitors or the biggest influencers in your industry? Socialbakers allows Facebook marketers to check their page’s exposure within Facebook. Socialbakers will deliver your custom social media performance report in minutes so you can easily understand how well you are using social to nurture customer relationships. Who doesn’t love a gif! GIFs are a great way to make a statement or express an emotion and are highly engaging on social news feeds. They are like emojis with their impact. They are also useful to add into blog posts and keep a reader engaged. The Wondershare Filmora is rated as one of the best of its kind in film and GIF maker software. It is user-friendly and it showcases so many features to aid you in your designing needs for your website and more. Enjoy over 100 features of visual effects as well as complete control over audio and video settings. 96% of social media marketers consider Facebook the most effective social media advertising platform. If you haven’t set up your Facebook Business Manager account yet for your Page, then get it done within the next 24 hours. Within Business Manager you have Facebook Ads Manager where you access all of the marketing tools you need to create targeted ads to reach your various audiences. If you are using Facebook as your core marketing channel, this is the one advertising tool that you need to fully understand, if you plan on reaching your goals. ManyChat is an easy-to-use tool if you are setting up your first Chatbot. When you connect your Facebook account to ManyChat you which page you want to connect your bot to, and it is already set up. After setting up you can already build your welcome message or first sequences. This is a really important step so you need to think about the customer journey. NordVPN is a provider of a Virtual Private Network, which gives you privacy while surfing online using publicly available Wi-Fi. Did you know that you can’t be safe online without a VPN? I invested 3.29 per month for two years for the service! We are currently finalizing our first suite of knowledge products and we are using ClickFunnels helps you build different types of marketing funnels. A simple Lead Capture Funnel might consist of two pages, which collects a visitor’s email address and then sends them to a Thank you page when signing up. Or you could have more sophisticated sales funnels which are made up of multiple pages which sell to a visitor through each step of the funnel. If you are intending to sell online you might want to check it out, take a 14-day free trial. Any marketer worth his or her salt will have this piece of powerful code installed on their and client websites. The Facebook pixel is an analytics tool that helps you measure the effectiveness of your advertising. You can use the Facebook pixel to understand the actions people are taking on your website and reach audiences you care about. Track conversions as the Facebook pixel allows you to monitor how people interact with your website after viewing your Facebook ad. Remarketing as the Facebook pixel tracking data allows you to show targeted ads to people who have already visited your site. Create lookalike audiences as Facebook can use its targeting data to help you build a lookalike audience of people who have similar likes, interests, and demographics to people who are already interacting with your website, helping you expand your potential customer base. In a nutshell, using a Facebook pixel can make your ads more effective by improving the quality of the ads you run, and by improving the targeting of the people who see them. OutreachPlus is a new email marketing outreach tool from Marketing Tech expert Ian Cleary founder of RazorSocial. His new platform is designed to help agencies, brands or publishers to generate more leads, links, press and relationships. Pixabay is a community of creatives, sharing copyright free images and videos. The site boasts over 1.1 million assets currently. All contents are released under Creative Commons CC0, which makes them safe to use without asking for permission or giving credit to the artist – even for commercial purposes. However, depicted content may still be protected by trademarks, publicity or privacy rights. You may also use Pixabay images on social media platforms. 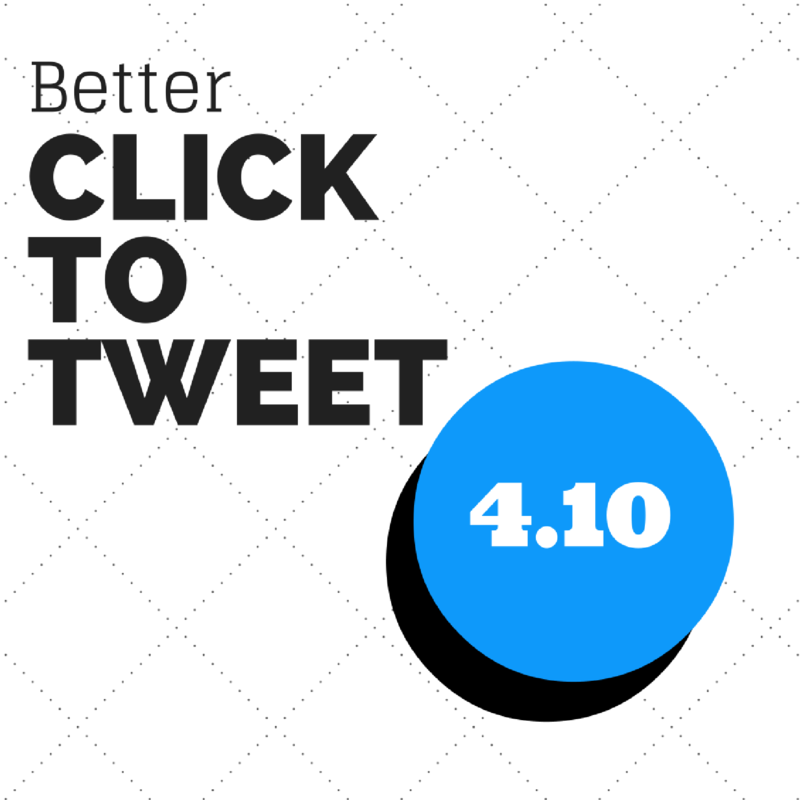 Stick to 140 Twitter characters with this novel Chrome Extension. There’s plenty of debate going on about whether Twitter’s decision to double its character limit from 140 to 280 is a good thing. If like me, you prefer life in 140 characters there’s a handy little browser extension to satisfy all your Tweet needs! It’s called 140, and it’s made by Slate. It not only shortens long tweets to 140 characters on Twitter’s desktop site, but it also prevents you from posting tweets longer than the original limit. We all know that success in content marketing is getting as many relevant eyeballs on our content. Convert Kit helps us grow our list to allow us to achieve that goal. ConvertKit features include attractive forms, trackable data, and simple but powerful automations. You can also build personalised emails using their drag and drop email sequence builder. Outbrain is a sponsored content network for publishers to advertise their content as well as earn revenue from sponsored content hosted on their sites. 80% of the world’s leading brands use the software, which gets your content discovered. Outbrain gets your content recommended on premium sites, including The Guardian, The Telegraph, and Sky News for a fee, helping your content reach the most relevant audiences. For those of you that are producing, publishing and sharing lots of premium content, it’s vital we understand the role social plays in amplifying our content. 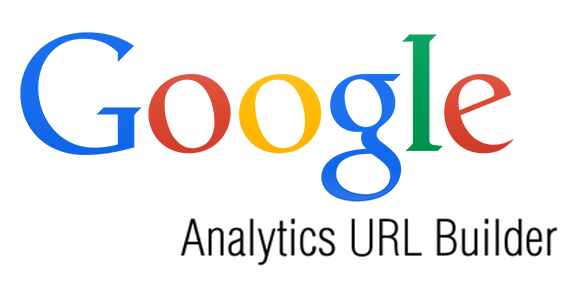 The Google Analytics URL Builder is a free Chrome extension that lets you quickly craft UTM URLs for your social posts without having to leave the page. Campaign tracking simply allows you to add special tracking code to your URL, also known as ‘tagging’ URLs, to identify how users are getting to your site. Amy Schmittauer Landino has developed 1,000 vlog ideas for a range of sectors – so if you want ideas for yourself or for a client campaign, download the eBook here. It’s a great content marketing tool! By now you know that JSB loves processes and is an efficient and effective content producer. But I couldn’t achieve the level of content output I do every week without some of my favourite tools. Rev is an excellent service providing transcription, captioning, sub-titling and translation services for digital content creators. Recently, I wanted to add captions to a series of my videos for Facebook and YouTube, so I simply add the YouTube URLs to Rev and voila within 24 hours I had my SRT files, which I then upload to Facebook and YouTube for word perfect captioning! It’s a low-cost service too with captions costing $1 per minute! LearnDash is a Learning Management System (LMS) plugin for WordPress. If you are selling online courses or have an in-house academy structure for continuing professional development, then you will need an online education and learning platform. WordPress is responsible for about 20% of the world’s websites and so many of us users love a plugin that will give us customised functionality. I use LearnDash for my online policing course and will likely use it for this year’s online programmes for public sector marketing pros. If you want to know how to add subtitles to video files on your Mac, Submerge will save your working week! 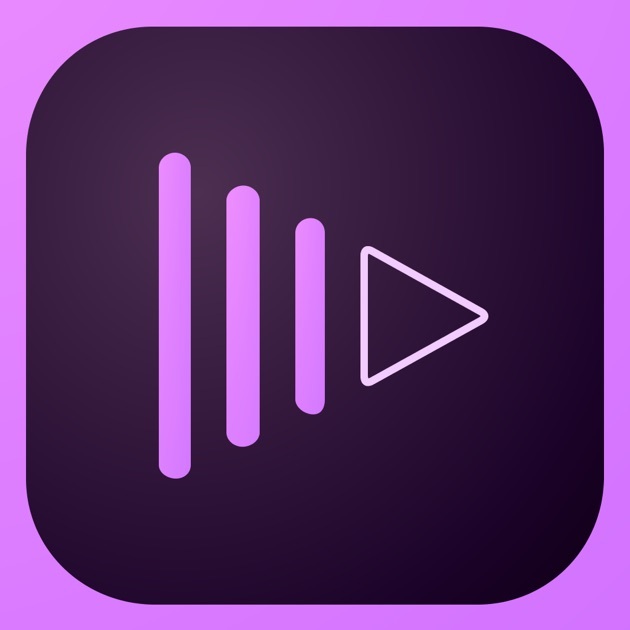 Adobe Premiere Clip is Adobe’s powerful mobile video editing app. You can create quick video edits on the fly with a range of editing options. It’s of course fully compatibility with Adobe’s other apps and programmes. Just hit the ‘plus’ icon in the bottom right corner to start a new edit. It’s then a matter of importing video from your iPhone or producing the material live from the camera. With all of the materials in place, you can either go hands-on with your own edit or have the app create one with the ‘Automatic’ feature. It will do so based on the beats of whichever soundtrack you choose. Exporting your finished efforts to the Creative Cloud or direct to YouTube is a so easy, and you can send it to Premiere Pro for more advanced editing when you get to your PC. I take this little device around with me everywhere, and I mean everywhere! It’s my audio recorder which allows me to convert a conversation into a podcast interview anywhere I go. Check it out: It’s available on Amazon and all good electronic retail outlets and will set you back about €90, but it’s worth every penny! By setting up your own private Facebook group, you’ll spend zero money on your infrastructure, plus you get to house your community in a space that already contains a reported 1.49 billion monthly users. But beware break Facebook’s rules and you could be locked out of your community and your business. Vet community members by asking questions before they are approved, you can also ask for their email address. Datally helps you save up to 30% of your mobile data so that you don’t go over your monthly limit again! It’s also useful for users in emerging markets where the Wi-Fi connection is poor. The social media tool that saved my working week this week is a pocket guide on GDPR written by Alan Calder. Gain a clear understanding of the General Data Protection Regulation (GDPR) with this essential pocket guide – purchased by more than 14,000 readers worldwide – which explains: the terms and definitions used within the Regulation; its key requirements; and how to comply. It’s also available in Spanish, French, German and Italian. I’ve already mentioned that personalisation and relevance are key to successful social ad campaigns. My new discovery this week really fits this brief. Bonjoro helps you convert and retain more customers through personal video. The tool is easy to use and you can create a dashboard with just a few clicks. It’s great for getting a quick overview of your most important KPIs on Facebook, Twitter, Instagram, YouTube and Pinterest. User experience could be better but it still does what it promises. At the Public Sector Digital Marketing Summit, I asked people to turn on the Nearby feature on LinkedIn so we could all connect with each other. So, this weekend I created a bespoke SeaFest frame. I want to take advantage of having over one hundred thousand people get together for SeaFest. Not only are we promoting the official hashtag #SeaFest8 for greater engagement we are also giving people to share their own SeaFest experience on Facebook Stories using our branded frame. I have my own websites and a client site using this service. Speed was an issue for my site and with their package they improved it. Fake Check analyses an Instagram account and their 20 most recent posts to see how engaged their followers are. This is the level of social engagement, which is more important than the social reach. If the resulting ratios for likes and comments based on the number of follower is outside the industry standard, it is likely that the account has paid Instagram followers. Tchat makes it much simpler and easier to keep up with a Twitter chat because it updates in real-time, much faster than Twitter. Before you start chatting however, you’ll need to sign into your Twitter account. Not only does tchat update faster than a normal Twitter feed, but it also allows you to “pause” your feed if things get too crazy. Pausing the stream will allow you to catch up with the discussion if you fall behind. Once you’re caught up, click play to get the stream updating again in real-time. Don’t leave it paused for too long – just because the conversation stops on your screen doesn’t mean it’s stopped on Twitter! Tchat also provides timestamps on each tweet so you know exactly what’s being said and when. Prices start at $15 a month, but you can get a 14-day free trial. Google Home is a brand of smart speaker developed by Google. Google Home allows users to give voice commands to interact with services through the Google Assistant. The Google Assistant integrated into Google Home can engage in two-way conversations. We used it throughout our mobile masterclass at Google’s Digital Academy to play music during our breaks. Also, to illustrate how the assistant can be used. Compare up to 10 domains to see how your site stacks up. With the Impact Calculator you can then estimate your revenue impact. 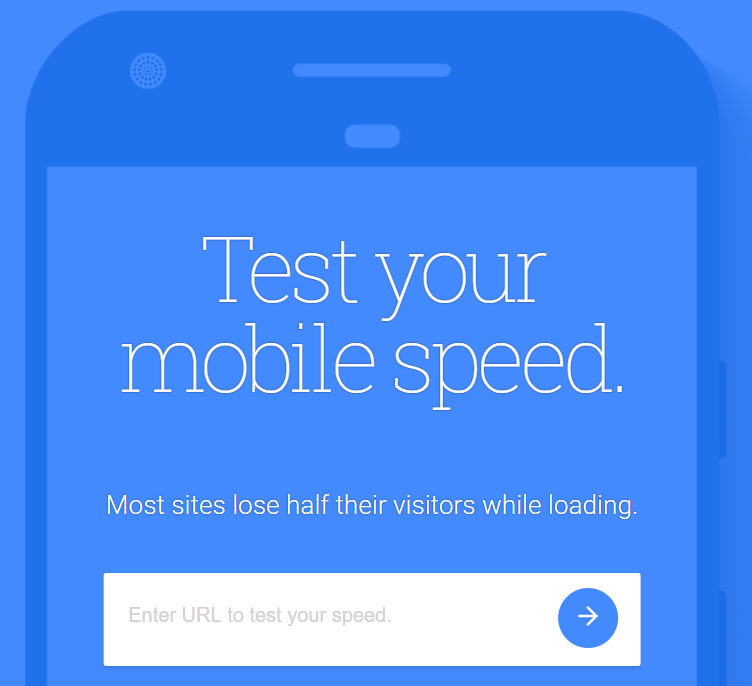 Mobile site speed can affect conversion rates and as a result – revenue. Fill in your information to see how improving your site speed could impact revenue. Thank you Joanne for compiling such an amazing list of digital marketing and social media tools websites. 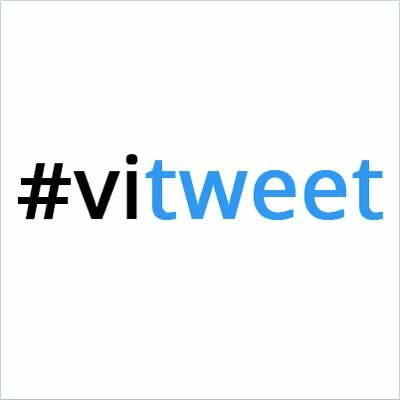 I would like to mention another useful social media tool; http://truetwit.com. It helps you to manage your twitter followers. It can also tell you who is not following you back. You can unfollow them in the same screen. Hi Simona, Thank you for your feedback! It was a listener who actually suggested I put all my Tools of the Week from the podcast in a blog post. I will definitely add TrueTwit.com after I try it out.